Taller riders over 6'0" will appreciate the greater coverage of the Z2464, which is 3.625" taller and 3.75" wider than the OEM GT screen. Average-size riders will prefer the Z2463, which is 1.00" taller (centerline measurement) and 3.25" wider than the OEM GT windscreen, and is perfectly proportioned for riders up to 6'0" (183cm) tall. 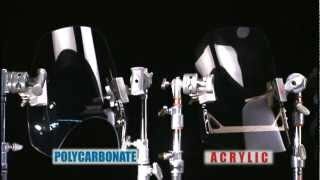 I had the tall replacement screen on my 2007 FJR1300 and that was fantastic. 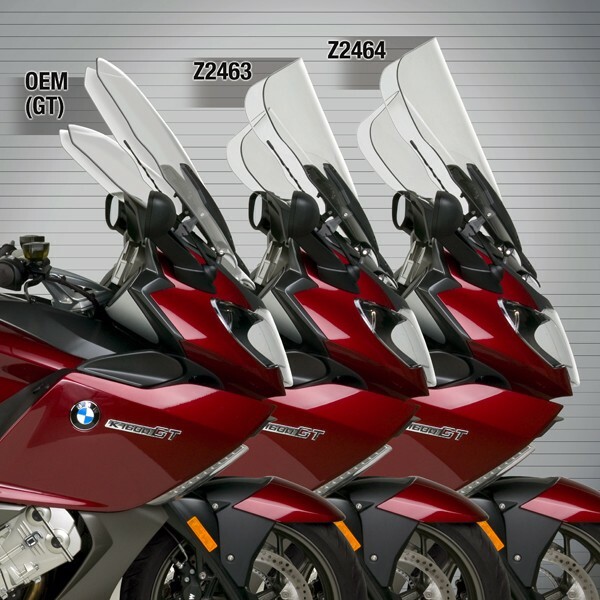 When I bought my 2017 BMW K1600GT I was fairly dissapointed with the enormous buffeting the stock screen had. After research and mixed opinions about most replacement options, I decided to go with the screen I come to love on my FJR. Today I did my first test drive. At low speeds, I am 100% protected with the screen way up. At high speeds (200 km/h+), when I have the screen all the way up, I still feel a bit of wind pushing me in the back, but moving the screen down ever so slightly removes it entirely. What a product! 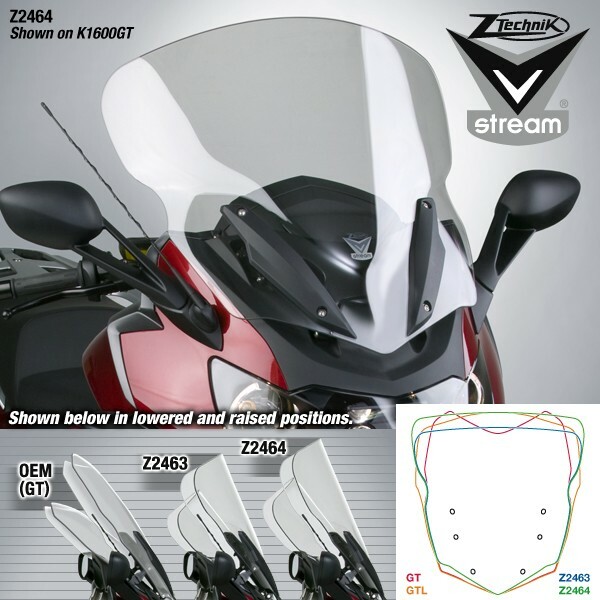 Review by Mike V.
I got your Z2464 VStream® Windscreen for my 2012 BMW K1600GTL. 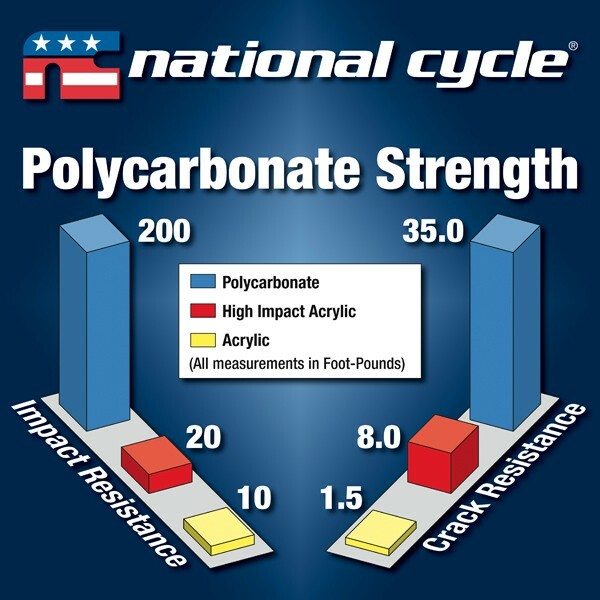 First, back when this bike came out, my wife and I tested it with the OEM shield, and she didn't like the buffeting she got on the highway compared to our BMW LT. Then in 2013, BMW of Grand Rapids got an early trade of (what was to be mine) a 2012 that had a Cal Sci Windshield on it. She liked the protection better, so we got the bike. The bike had its quirks, which with reading all the blogs, I assumed were the nature of the Bike, such as 1) being "twitchy" at speed in any wind scenario, but improved somewhat by removing the trunk; 2) high speed (100+) lane changes gave an ever so slight head shake at times, and 3) with my wife on the back, she wanted the shield all the way up, and the hole in the CalSci would put a ton of wind right in my face and neck, plus bugs, debris, etc. NOW, to the VStream --- Holy Moley! The bike is "on rails" stable at ANY speed, no twitching, no head shake, nothing -- trunk on/off, doesn't matter, it tracks perfect. 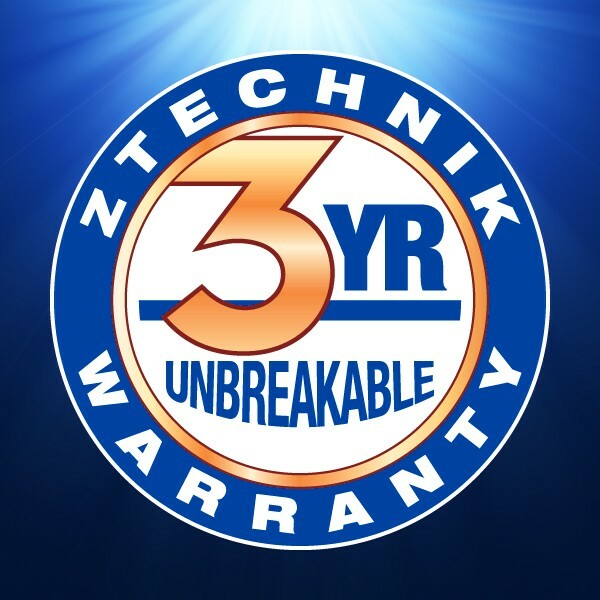 The material is absolutely clear to perfection, does not reflect the dash at night, and works well BEYOND your claims! 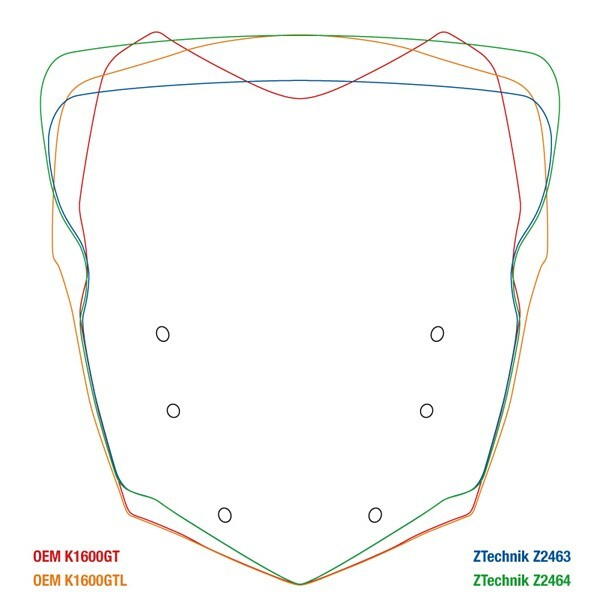 One thing I still can't get over, is when passing a Semi Tractor, there is NO pushout as you come around the cab, (have you ever been on a bike that doesn't) and I've passed a good 50 since installing the shield. Honestly, I waited for enough people to try different brands on this bike, as to get a good handle on a choice. 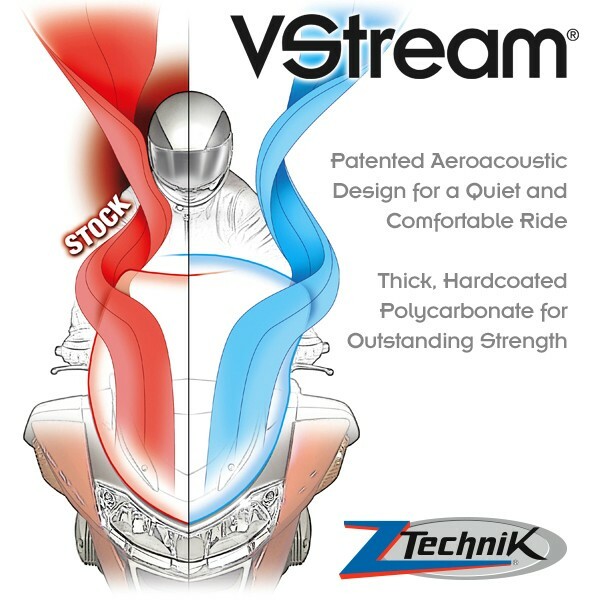 Had I known then what I know now, THIS Vstream would have been ordered the DAY I got the bike --- AND my Wife loves it! !